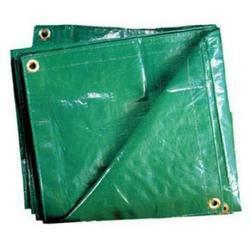 Leading Exporter of fabricated tarpaulin sheet from Surat. With phenomenal market understanding, we are able to present an extensive range of Fabricated Tarpaulin Sheet. This sheet is often seen used by the clients engaged in wrapping suppliers. The offered sheet is designed using polypropylene film materials. In addition, the provided materials are ideal for developing a reliable and strong sheet that is used for carrying sheet. Obtainable in different prints, designs and colors, the sheet can be availed from us at industry leading prices.